Ministry of Education Key Lab of Contemporary Design and Integrated Manufacturing Technology, Northwestern Polytechnical University, Xi’an, 710072, China. Drilling jigs are used frequently to provide precise location of a hole pattern for mating parts and assemblies in aircraft fabricating process for their accuracy and simplicity. Due to the different product batches and manufacturing process, the components which will be assembled together possess distinct geometry properties or reserve different edge margins, thus the location and the size of connecting holes are not identical. In this case, the pilot holes in the template need to be aligned for every batch of aircraft and the drill templates with fixed guide holes in them are no longer suitable to the situation. 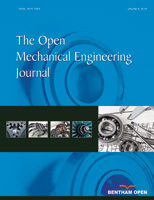 This paper proposes a kind of flexible drill template system which is adjustable for precisely locating and drilling holes on a curved surface of the wing-skin during the period of wing-fuselage connection. The jig system possesses a board of curved surface with continually changing curvature which is designed to fit the wing-skin workpiece. The flexible adjustable modules on the board can be adjusted in lateral and spanwise directions in a range of ±10 mm with a minimum scale of 0.02 mm. The analysis of systematic error and deformation due to operation are also carried out using theoretical model and FE method respectively to verify the validation of the flexible drilling template solution.